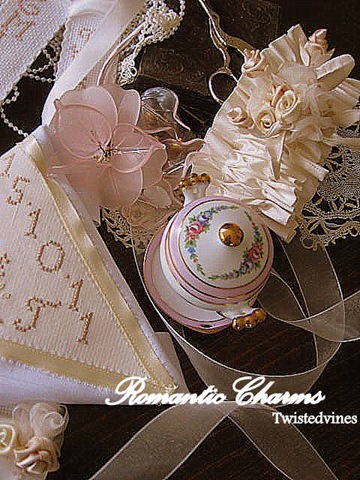 Beautiful touches of pink and creams, in this romantic brides garter. 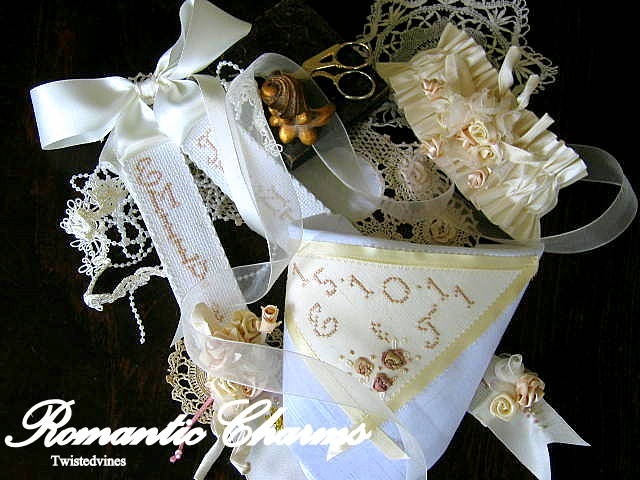 Brides garter, Grooms handkerchief, and wedding cake ribbon. 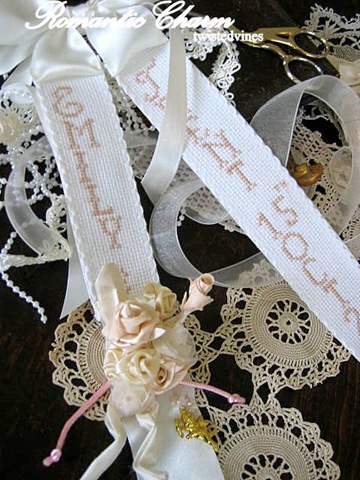 Threads, silks, ribbons, cross stitch, roses, pearls, dates and promises.This week has seen my sister working her fingers, making some romantic ribbons for a wedding celebration. All beautifully created by my sister, a very talented lady. Linking to Beverly’s Pink Saturday. 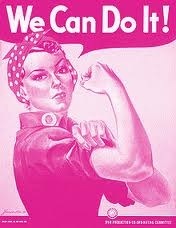 October being the month for Breast Cancer Awareness, why not join in, for the month of October to Pink Saturday. 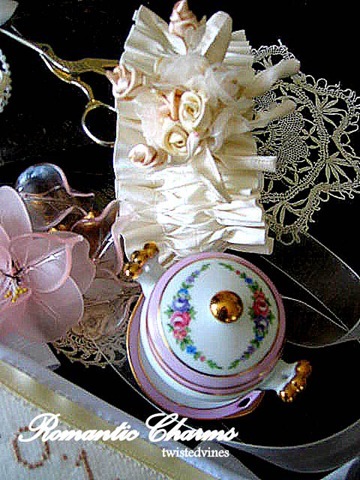 Your sister is one creative lady – I love all the romance in her lovely work. As you said, your sister is a very talented and creative lady, Yvette. 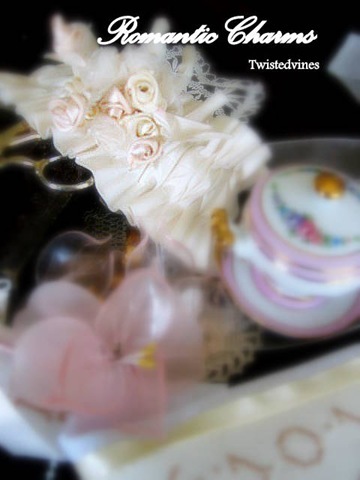 Just lovely…all that delicate beauty created by hand. Thank you for sharing these…enjoy your weekend.